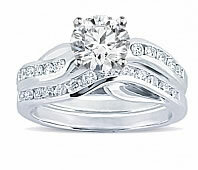 Matching bridal sets are a popular choice among Novori customers. 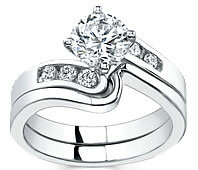 Many couples like the traditional symbolism of two matching rings set together. Just like the couple about to be joined in matrimony, the matching bridal set represents the joining of the couple. 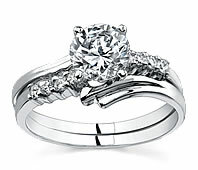 Our matching bridal sets will certainly exceed your expectations of any bridal jewelry. 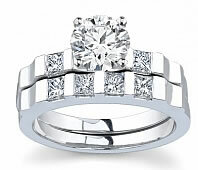 For many couples, matching bridal sets are an alternative to traditional engagement rings. 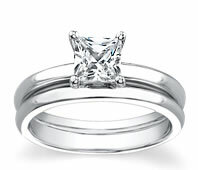 Since the rings are matched together, they often cost less than purchasing an engagement and wedding ring separately. 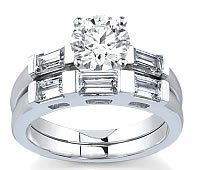 When you plan your engagement and only purchase the engagement ring, it may be difficult to have a perfect match once you need the wedding band. 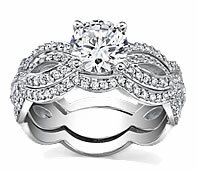 Bridal sets are not only affordable but allow us to make the complete set at the same time ensuring a perfect match. 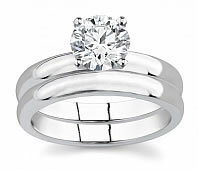 If the couple chooses, their matching bridal set can include the man’s wedding band. 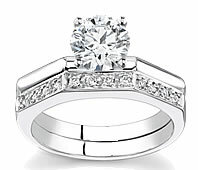 Including the man’s wedding band allows all three rings to match perfectly. 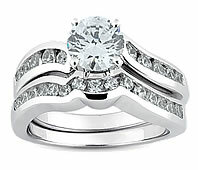 If matching bridal sets interest you then Novori has a nice selection to choose from. 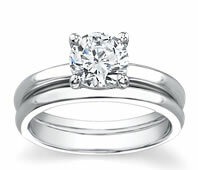 Our matching bridal sets are available in white gold, yellow gold, or platinum. We have a large variety of styles to appeal to a wide-range of tastes. 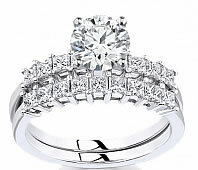 If you need help in choosing the perfect ring, just give us a call. We would be glad to assist you.